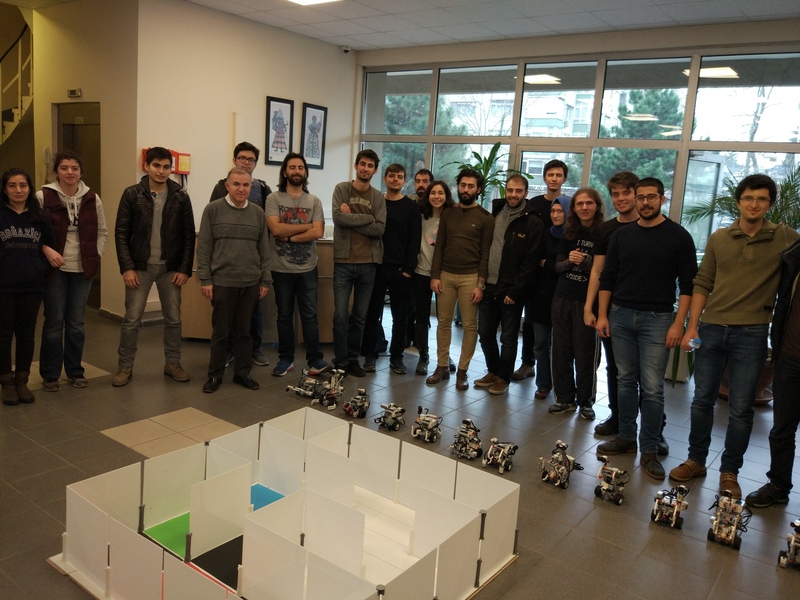 Our students have presented their designs for the final project of CMPE434: Introduction to Robotics. Using Lego Mindstorms EV3 kits, each group has designed a small mobile robot. 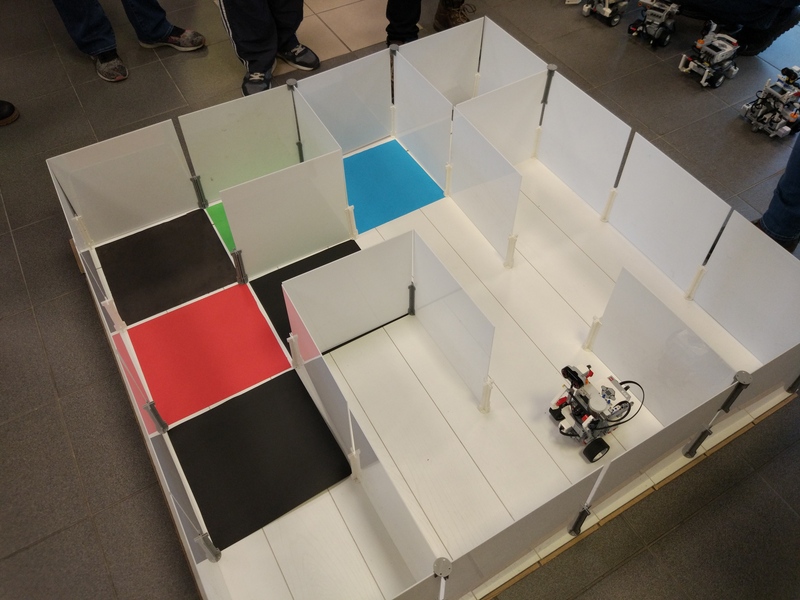 The final project aims to introduce the students with the usual difficulties in the robotics domain. In an imperfect environment where sensory and environmental noises cause major difficulties, complex real-world problems are even harder to solve. In this project, there was an imaginary scenario, where the robot needs to get to the green tile in order to save the prince. The first requirement for the robot was to explore the labyrinth by itself autonomously, so that it could decide on the optimal path to follow when collecting the weapon from the blue cell before encountering with the monster in the red cell. Many of the introductory-level algorithms were needed to successfully complete the mission. 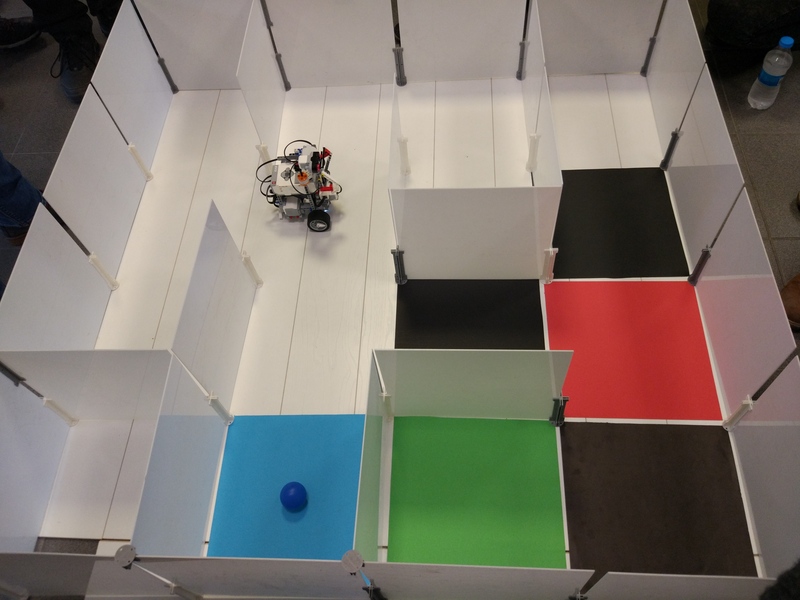 Also the students needed competent hardware designs that can grab and carry a ball during navigating. After a successful demo session, we are glad to see that many students have gained the required skills to solve complex problems such as this.